This is a non-registered cultivar from Randy Goodwin of Indiana. The picture was taken in Randy's garden. In 2018, Randy registered a plant called H. 'Hootenanny'. 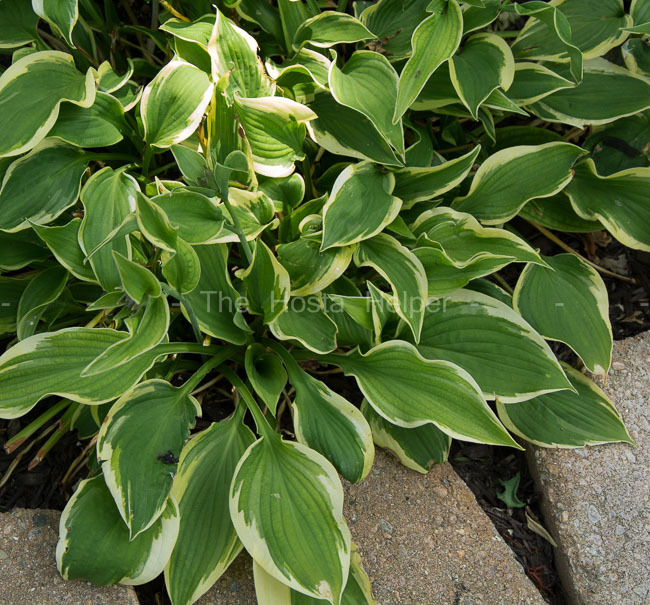 That plant is described as having blue-green foliage with a yellow marginal variegation and broadly ovate leaves.